There are a lot of apps out there that allow you to do just about anything with today’s smartphone, but most of them avoid trying to better the good old voice call. That’s not to say anyone has not tried: Apple made waves with its FaceTime video chat, but that only works on iOS and only on W-iFi. Skype and other apps attempted to liven up the voice experience, but they focus on the data side of things first, and the interfaces are often clunky. Sidecar’s focus is strange considering our phone’s primary function is to make calls. The Sidecar app duplicates that feature, which could seem repetitious, However, while in a call, users can share video, photos, location, and contact information instantly via the app. That’s Sidecar’s hook. Take, for example, the process of sharing a picture through Skype. “It’s twelve clicks,” Sidecar CEO Rob Williams says. Sharing a contact with someone during a call requires at least five steps on iOS and Android. In Sidecar that is shortened to two. 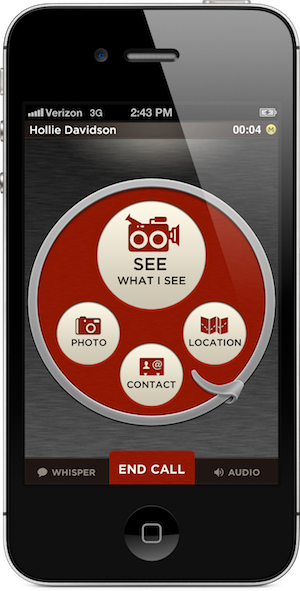 The Sidecar app interface looks like an old-style rotary phone. Williams said developers wanted an interface that was “thumbable,” meaning users could access the app’ major features while still holding the phone in one hand. “We thought really big at first, but were surprised to find users wanted to do some pretty basic things,” Williams says. The functions that Sidecar provides are things most smartphones can already do, but many users might not realize they can because of the learning curve involved. Another plus for Sidecar is the fact that all features work on both 3G/4G and Wi-Fi, and regardless of carrier. This makes the app especially useful to those on CDMA networks like Verizon or Sprint, where customers cannot use voice and data at the same time. Those users could see the biggest benefits from an app like Sidecar, although it requires the caller and the recipient of the call to both have the app. To lure users in, Sidecar will offer users free calling within the United States and Canada when using a Wi-Fi connection. 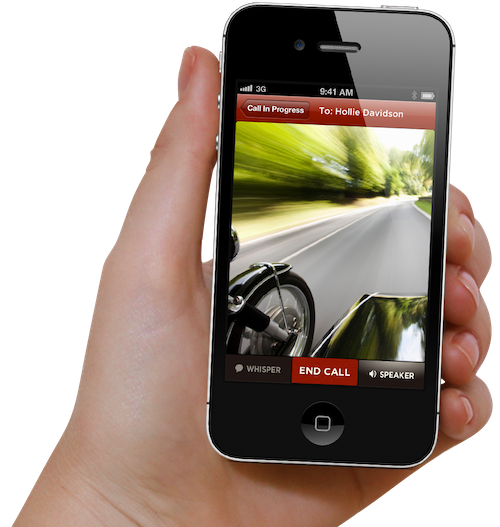 If the user receiving a call does not have Sidecar, the company will send a text message with instructions on how to download the app after the call is finished. Williams says he is aware some may see this as equivalent to spam, but he figures most will likely be interested in downloading the app to begin with. “Chances are the caller is going to mention the app during the call anyway,” he says.